Are you ready to cleanse your sins away and ‘Purge’ once again? Well, the movie industry certainly is with ‘The Purge: Election Year‘. Funny, it is an election year in the real world and with Donald Trump on the card, an actual ‘Purge’ might just happen. You might laugh at that notion and I do too, but it’s more plausible than ever before. Writer/director of all ‘The Purge‘ movies, James DeMonaco, actually got his start as the writer of the Robin Williams‘ film ‘JACK‘, which if you look at it closely, they are all practically the same movie. Of course, I’m kidding. These ‘Purge’ films have certainly grown into a political and social satire on our society today, where the 1st ‘Purge‘ film basically just centered on a family, trying to survive the 12 hour ‘Purge’, where all crime, including murder is legal. It was a home invasion film at its core with a hint of a political message of how the wealthiest 1% are purging on the lower income and minorities in America. It was hinted at only. ‘Purge: Anarchy‘ took to the streets of the big city and got bigger into the political and social messages with an actual militia full of people, trying to stop ‘The Purge’ by taking out the government. The political messages were rampant, but focused on a guy named Leo Barnes (Frank Grillo), as he tried saving people through the night, in order to kill someone from his past. 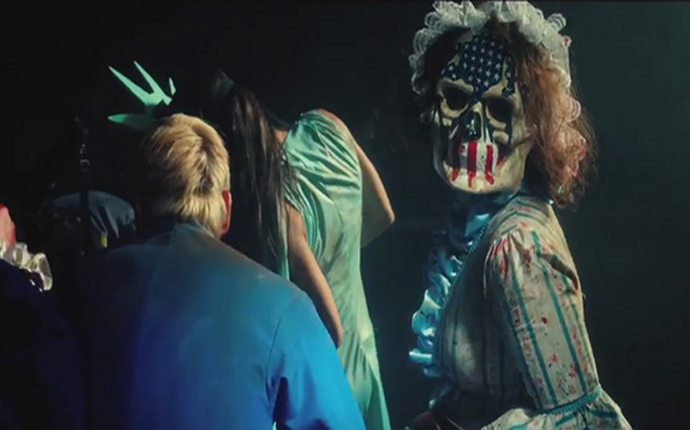 Cut to two years later and we are at ‘The Purge: Election Year‘, where a Donald Trump like figure is in office who is very much for murdering and “purging” in this twelve hour period. On the other side of the fence is US Senator Charlene Roan (Elizabeth Mitchell from ‘LOST‘), and is running for President and is deeply opposed to the annual ‘Purge’. Her first order of business and biggest issue is getting rid of the ‘Purge’, due to an incident that happened fifteen years prior. Leo Barnes is now in the secret service business and is in charge of protecting Roan, but the government does not want her in office so they can keep purging year after year, and this they try and kill her. Leo and Charlene are no running thru the streets, trying to survive the night with the help of a deli owner named Joe (Michael Williamson or Bubba from ‘Forest Gump‘) and a couple of his friends. There are definitely a lot of moments that are eerily similar to the current election coming up in November, but DeMonaco does a good job at keeping things thrilling and darkly funny throughout. Characters who “purge” are over-the-top and ridiculous for sure, and their anger and crudeness is unbelievable, but the reward is so satisfying when they get their comeuppance. There is a ton of political talk throughout with some gruesome murders and some fairly scary and sadistic images that DeMonaco has conjured up. It’s a frightening scenario for sure and DeMonaco succeeds in showing the horror around DC, which is actually the streets of Rhode Island. The dialogue is blunt and vulgar, but at times can be silly and quite funny to lighten the mood. Frank Grillo more or less takes a back seat this time around too and while he has a couple of quick fight scenes, he isn’t the complete badass that we saw in the last film. I’m sure they will keep making ‘Purge’ films as long as they are making money, so I expect a fourth installment in the next year or two. 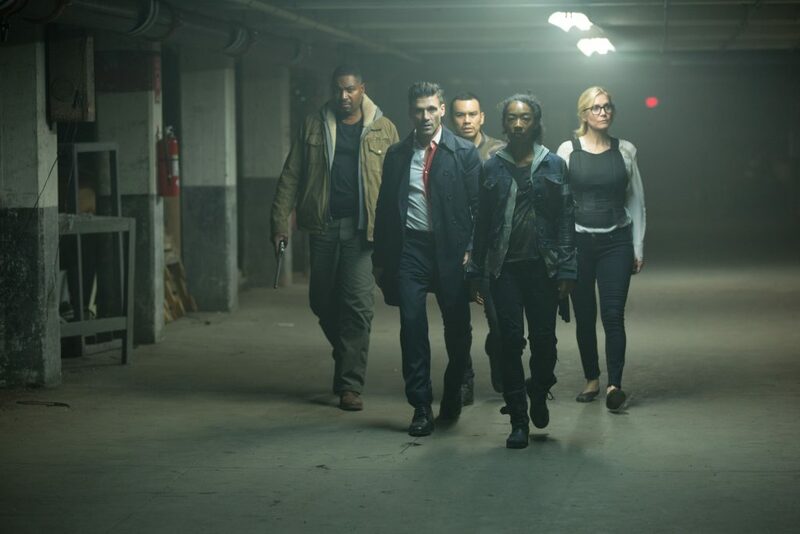 ‘The Purge: Election Year‘ does a good job for what it is and continues the story and its political message in these current times. 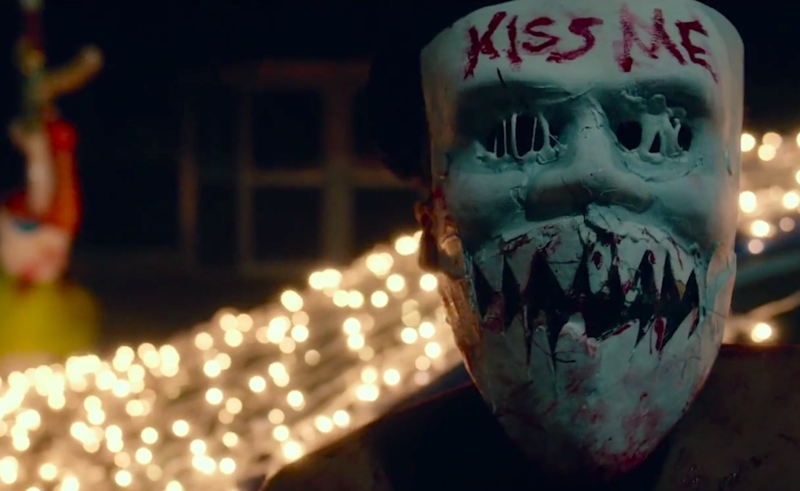 The film is entertaining enough and for fans of the other ‘Purge’ films will certainly like this third sequel. This entry was posted on Wednesday, June 29th, 2016 at 8:13 am	and is filed under Film, News. You can follow any responses to this entry through the RSS 2.0 feed. You can skip to the end and leave a response. Pinging is currently not allowed. « Film Review: ‘Swiss Army Man’! There has not been a king since the first brethren court, and that is not likely to change! ...and each pirate only votes for himself. I vote for Ammand, the Corsair! Captain Chevalle, the penniless Frenchman! I know. Curious, isn't it?